Imagine London as the world-leading walking city it ought to be. People visiting, working and living in the city able to walk freely and safely and breathe fresh air. Our campaign is about rethinking our spaces, designing them around people not motor vehicles. 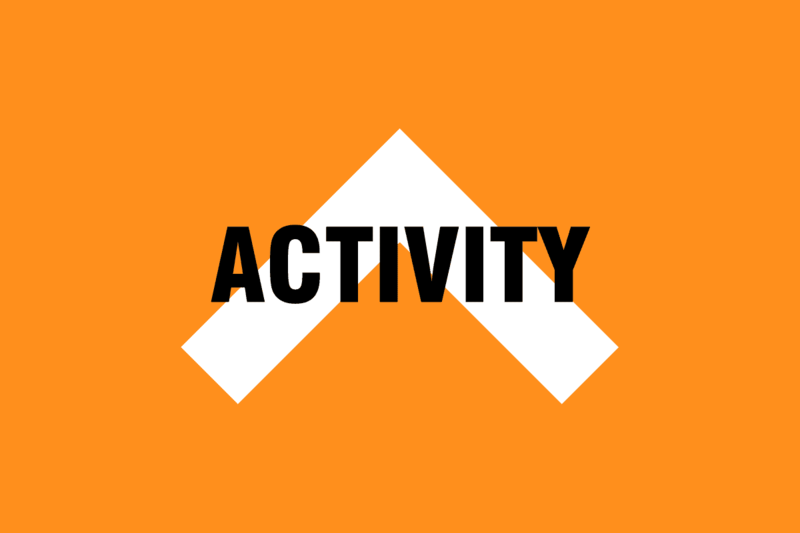 There's a lot going on in London - find out what and how you can get involved. Westminster's exciting new proposals - support them via the consultation. From Bank Junction to speed limits, find out about progress in the Square Mile. 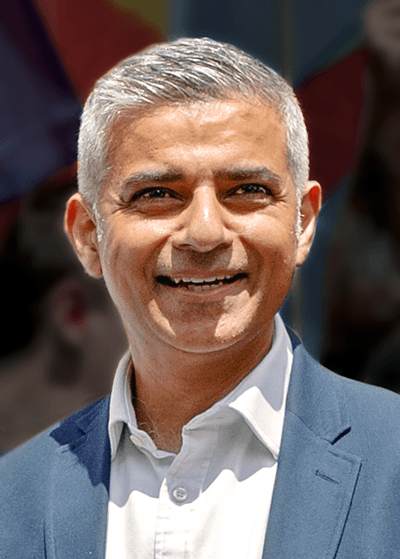 Mayor Sadiq Khan launches plan to make the capital "the world's most walkable city". What next for plans to make the nation's most iconic shopping street safer, greener and more accessible? Westminster City Council has unveiled ambitious plans to transform this busy area at the heart of London. As usual there is a consultation, and we and our London Local Group are urging campaigners to give the plans their broad support. "We believe that this will be a wonderful location for future generations," the group says, "and we are pleased that the City of Westminster has taken this opportunity to create a people-friendly space and undertaken the removal of almost all vehicular traffic and access from the Strand East area. "Our concerns are that firstly the plans do not include provision for a safe segregated cycle route around the Aldwych and secondly that the scheme should fit better with the Vision Zero approach to road safety and design neighbouring roads and streets to a 20mph speed limit." The deadline for submissions is 13 March. To what extent do you support the objectives for this project? Do you have any views on the overall concept designs? London Living Streets (LLS) is overall supportive of these proposals and in particular the closure of Strand East to vehicular traffic. This is a major step forward not just for this location but in terms of how the City of Westminster views the locations of London-wide and national significance. LLS's concerns about the scheme largely relate to the road around the Aldwych. 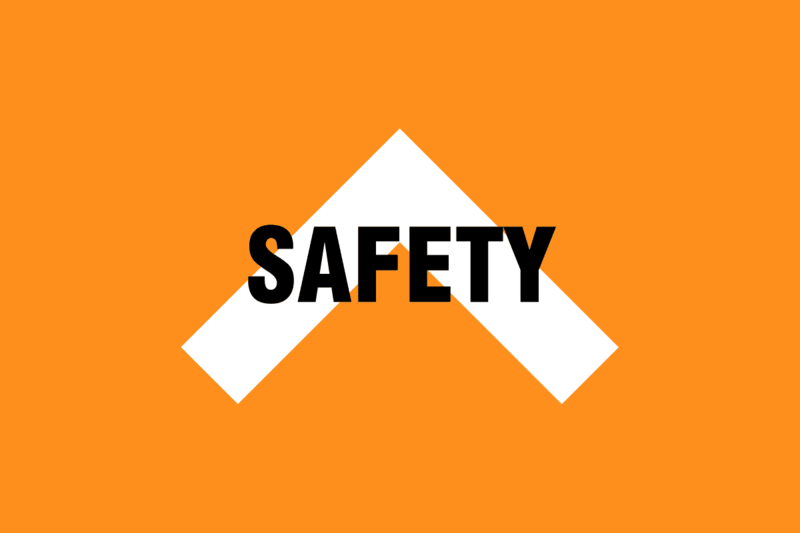 We believe that there are opportunities to align proposals for those roads better with Vision Zero and Healthy Streets policies and most importantly to create a slower and safe environment for people on bicycles and on foot. The omission of a protected space for cycling on Aldwych has the capacity to seriously reduce the amenity of the scheme owing to the likelihood of building in potential conflict between people on foot and people cycling on Strand East. Do you have any comments on air quality? Pleasing to see the dramatic improvements to air quality as outlined in section 3 of the booklet - a core part of the appeal of the proposals. 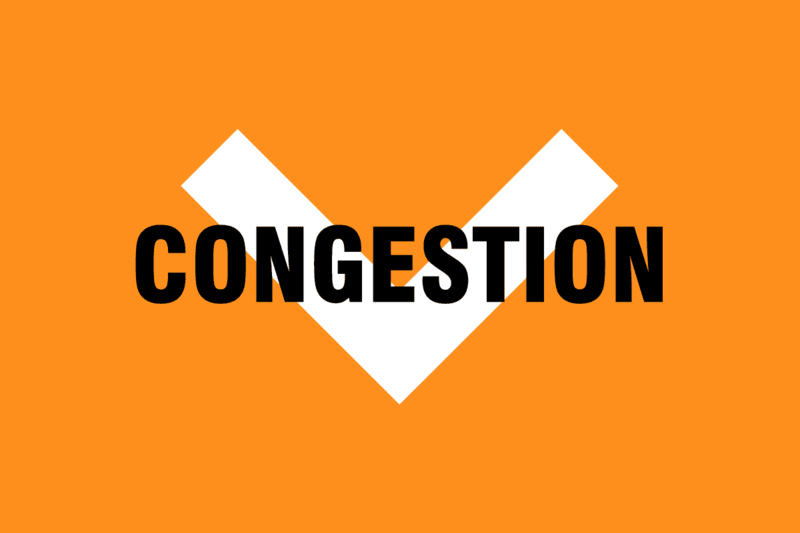 Reduction of vehicular movement and access when combined with changes such as ULEZ can have a major impact on this problem. Do you have any comments on improving spaces and places? Pedestrian crossings north of Waterloo Bridge need to be 10 metres in width rather than 6 metres to accomodate large crowds. Car parking, when not in use, should be able to function as a footway for pedestrians. Any designs for the public space should enhance and not detract from the great architecture, especially St Mary-le-Strand and Somerset House. Do you have any comments on supporting the local economy? Proposals will be a significant boost to the local economy, businesses across this area and the City of Westminster overall. 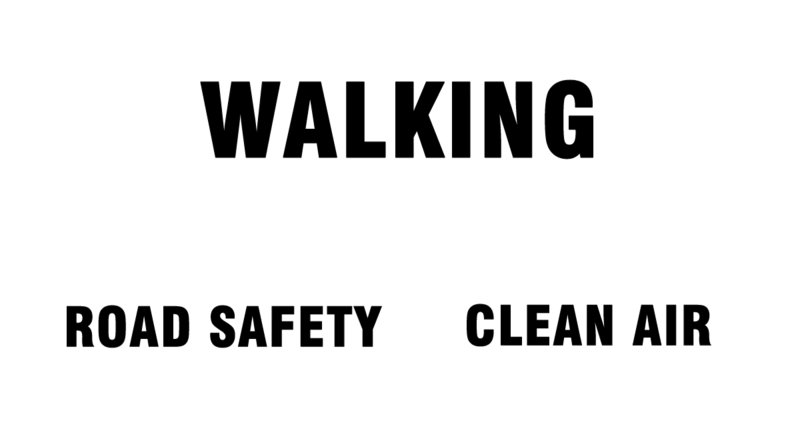 Is the City going to town on walking? The City of London has announced that vehicles will be banned from about half of the Square Mile’s roads under radical plans announced to improve safety and cut congestion. In its draft Transport Strategy, the City says it aims to ensure ‘the Square Mile is accessible to all and an easy, attractive and healthy place to work, live, learn and visit’. 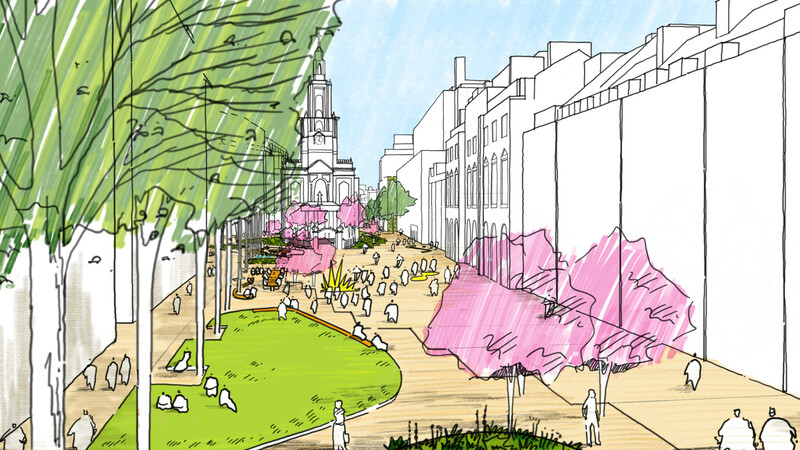 "Under new plans, people walking will be given the priority they deserve," says our London Manager, Richard Lambert. 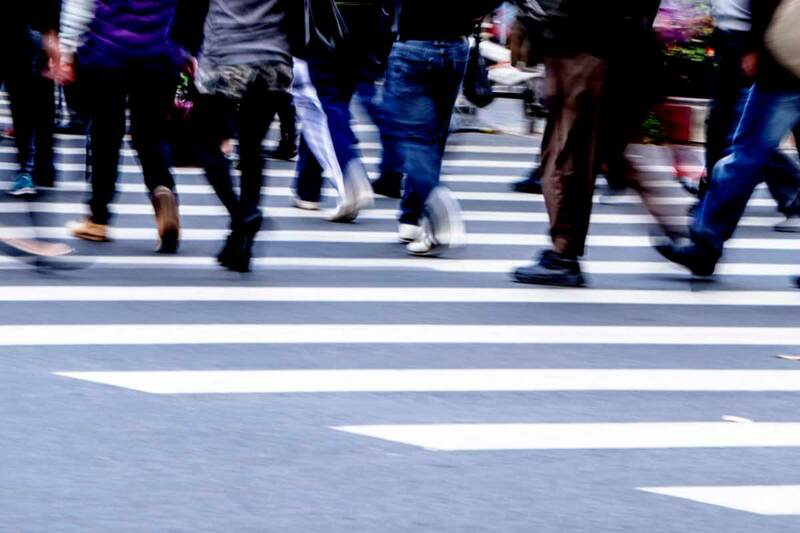 "This reflects the fact that walking is the most common form of travel in the City and responds to feedback [from pedestrians] that people on foot have the least amount of space on our capital’s streets. "We look forward to hearing how the City plans to make the Square Mile a more accessible, healthier place for people of all ages and abilities." The Mayor of London's Transport Strategy has an ambitious aim: that 80% of all trips in London are made on foot, cycle or using public transport. And Living Streets is delighted that, on 19 July 2018, the first plan as part of this strategy was announced with the ambition of making London the world's most walkable city. 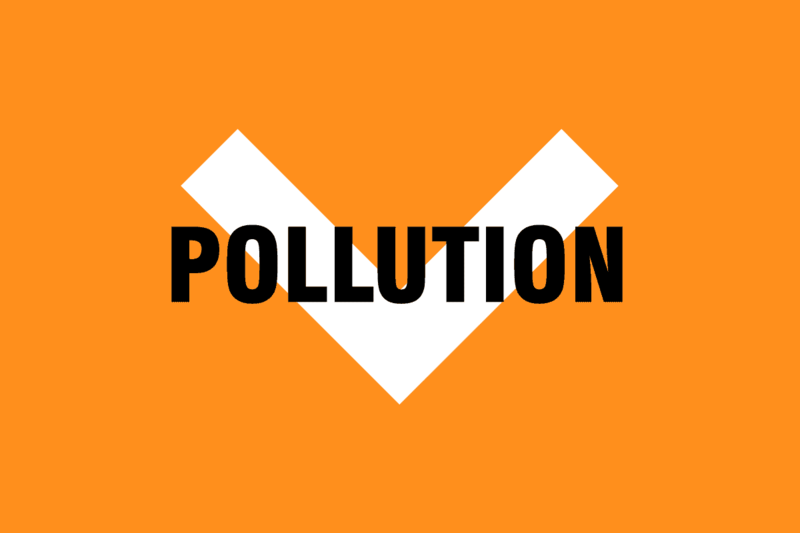 “Motor traffic is our biggest source of air pollution, whilst walking is the cleanest way to get around. “To make London the most walkable city in world, the focus has to be on reducing motor vehicle use. An astonishing one in four cars on our roads during peak times are on the school run. So having an ambition for the majority of primary school children to walk to school and a million extra end-to-end walking trips a day is an important spur to action. Why a transformed, vehicle-free Oxford Street must put accessibility first. Could making Oxford Street vehicle-free save lives? We visited the street with campaigners from RNIB.